Kate Schuetze, Amnesty International’s Pacific Researcher who has just returned from Manus. One of those arrested by police this morning, is journalist and human rights activist Behrouz Boochani, who has exposed to the world the extent of the abuse being experienced by all of the men in the detention camp on Manus. It is not clear why Behrouz Boochani has been arrested. However, it seems this is a deliberate attempt to isolate human rights activists from the wider group. “The arrest of Behrouz Boochani as a so called ring leader of the peaceful protest on Manus Island is deeply misguided. It violates his rights, and sends a terrible signal about PNG’s intentions with regard to the remaining 400 plus men. He must be immediately and unconditionally released from police custody,” said Kate Schuetze. Three other refugees are at risk of arrest on the same grounds. All these men were arrested and detained in 2015 for peaceful protests at the refugee detention centre..
“The governments of Australia and PNG have deliberately cut off services and PNG is now escalating the situation by arresting Behrouz Boochani – all in an effort to coerce the refugees to move. His arrest also appears to be a reprisal for his reporting on the human rights situation within the camp,” said Kate Schuetze. 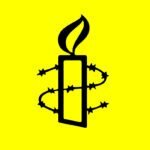 Amnesty International has repeatedly called for humanitarian aid to be provided to the refugees while a safe and dignified solution is worked out, in consultation with them and respecting their rights. “The most obvious solution is for Australia to bring all of the men to Australia. They are clearly not safe in PNG,” said Kate Schuetze. Amnesty International has long called for the camp on Manus Island to be closed and the refugees brought to safety in Australia. What has happened instead is closure of one camp, and opening another on the same island, in a location on Manus where the refugees would be even less safe. Around 420 refugees remain at the centre after the provision of all services was withdrawn, including food, water, power and medical care on 31 October. The men have been surviving on food that they have been able to smuggle into the camp and rain water. PNG authorities have tried to undermine efforts of refugees to survive at the camp by stopping food coming in, sabotaging water tanks and water storage created by refugees and denying them the ability to purchase over the counter medications in the Lorengau town. The decision to forcibly move the refugees is misguided. Any use of force in this highly charged environment is likely to risk serious injury. In April this year PNG security forces fired shots into the centre after a dispute broke out. Any use of firearms would mean a lethal risk to the refugees. The refugees do not want to move from the new camp because they are being asked to move to a location where they fear for their safety. Amnesty International’s research confirms their fears are well-founded. Refugees have been attacked and seriously injured by some members of the local population who have made clear they do not want the men on Manus. Refugees have little or no protection from these attacks except to live inside detention centres.